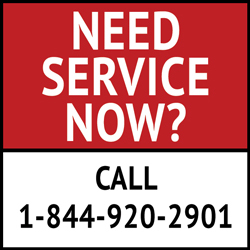 If you run into an issue that is not listed above, give our service line a call. We’ll do our best to see how we can help or direct you to a contact who might be able to handle the job. How Long Does It Take Us To Arrive? If it’s an emergency truck repair situation, we can have a technician dispatched and onsite in as fast as two hours. Our response time does depend on the location. We will provide an estimate time arrival when you call to schedule the service. For all non-emergencies, we will book an appointment and provide a window for when we will arrive. We pride ourselves on our customer service quality and responsiveness, so we’ll make sure a technician is there to help you at a time that is convenient to you. How Much Does The Mobile Truck Service Cost? It depends on the service. No contract or service plan necessary. You call us with an issue and we’ll confirm a time and place for the truck repair. Visit an Allstate Peterbilt Group location near you, call 844-920-2901, or email us. If you don’t need mobile truck service but are looking to visit one of our facilities for a repair, click here to schedule an appointment online. Note: you will need to select a dealer location when scheduling an appointment. This entry was posted on Wednesday, November 22nd, 2017 at 6:00 pm	and is filed under Mobile Service, Service and Parts. You can follow any responses to this entry through the RSS 2.0 feed. You can leave a response, or trackback from your own site. This article helps all the truck owner and they will have a great idea to improve their diesel truck engine performance. You have mentioned the key points to note during any truck engine valve adjustment and I will definitely check this during my next service visit.